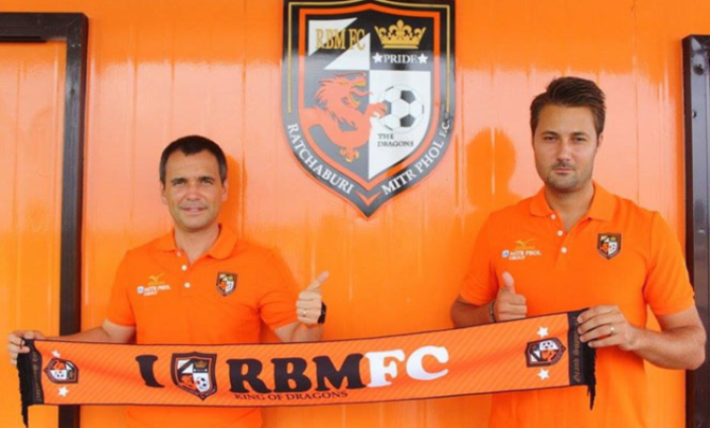 FIA Sports Management is pleased to announce the signing of former FC Barcelona youth coach Alex Gomez Comes as the new Head Coach of Thai Premier League club Ratchaburi FC. Alex Gomez will be joined by fellow Spaniard Jordi Font Dimas as his Assistant, who himself also is a former FC Barcelona coach at the famed ‘La Masia’ youth Academy. Alex joins the Dragons from Kitchee SC of Hong Kong, who he coached for the 2013-14 season and replaces the departing Ricardo Rodriguez. Alex and Jordi will take over the team immediately, beginning preparations for the 2014 season.